UK’s Muslim MP Naz Shah, 43, from Bradford West became the latest Labour Party lawmaker to come under Jewish Lobby’s knife. She has been accused of making several Jew-hating statements on the social media before she became a Labour MP by defeating the most anti-Israel British politician, former MP George Galloway last year. 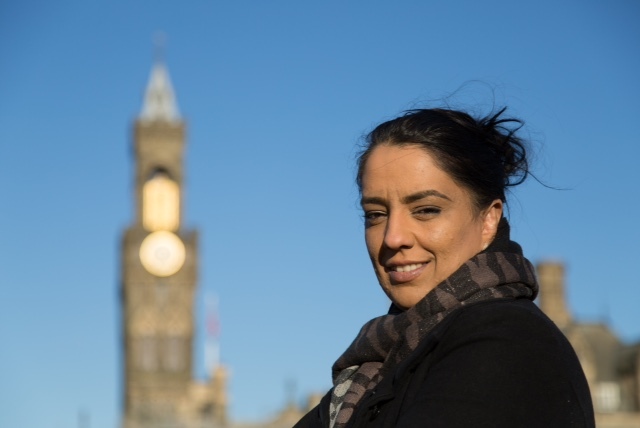 Naz Shah has been accused backing the proposal for spending of ‘transportation cost’ to move Israelis out of the Middle East. She also being accused of linking Zionism with Al-Qaeda. “Naz Shah added the words ‘problem solved’ to a graphic which said the solution to the Israeli-Palestinian conflict would be to relocate Israel into the United States,” reported Rosa Doherty at Jewish Chronicle on April 26, 2016. United States is home to world’s largest Jewish population after the Zionist entity. But, it’s far better the US stay under Christian Zionists’ rule to spoon-feed the Zionist entity than “transport” another 5.5 million Israeli Jews to economically bankrupted United States. In fact Jewish oligarch Kolomoyski has urged American Jews to immigrate to Ukraine: New Jewish ‘Promised Land’. However, Rosa Doherty admits that Naz Shah’s views about Israel and Zionism have ‘improved’ during last two years. For example, she did apologize to Israeli embassy in London for saying that no Israeli child had been killed by stone-throwing Palestinians. Well, Ms Shah was wrong. Palestinian stones did cause death to five Jewish kids enjoying car-rides with their families during the last 50 years. Earlier this month, Naz shah wrote to prime minister David Cameron that one of his Tory party member made ‘antisemite’ remarks. Ms Shah is member of Home Affairs Select Committee which promotes Holocaust education – announced early this month that it would investigate rising Jew-hate against UK’s 350,000 Jewish community. According to the Organized Jewry 50% of Brits hate Jews. MP Naz Shah just resigned an aide to Labour Shadow Chancellor John McDonnell, an antisemite himself. UK’s over two million Muslim community has become the main target of government, police, MI6 and the mainstream media to please the local Organized Jewry. Read more here. A poll conducted by BBC4 Channel last year claimed that Muslims are more loyal to UK than Jews. During 2015 parliamentary elections, MP Naz Shah, mother of three, was supported by many Jewish and pro-Israel Christian politicians against Respect party candidate George Galloway, who is now the third candidate for London Mayor competing against pro-Israel Labour MP Sadiq Khan, and Tory Jewish millionaire Zach Goldsmith. Jewish Lobby is still whining over Malia Bouattia’s election as UK’s first Muslim NUS President last week. She hits back at UK’s media’s demonization campaign against her.